Sovereignty is the liberty to decide one's thoughts and actions. When we surrender personal sovereignty to an entity believed to have higher authority than ourselves, a dangerously hypnotic situation occurs. Submission to religious systems that are not based on reasonable ideas or doctrines leads to fanaticism, diminished initiative and reduced personal responsibility. This blog is dedicated to helping victims of religious faith systems restore their personal sovereignty. Links for purchasing Surrender of Sovereignty. Dr. Clendenon's book "SURRENDER OF SOVEREIGNTY" is now avaible through major bookstores: Amazon.com, or Barnes & Noble, and is also available in the Kindle format compatible wtih PC, iMac, iPad, iPhone, 3G, Wi-Fi and Blackberry. Too often we see children whose fathers failed to take responsibility for their night of passion, abandoning their offspring, leaving them to be brought up by their mothers. Oftentimes they wind up becoming wards of the state, shifting from one foster home to another. When these children grow older, they often wonder, "Where is my father? Why did he go away? Why can't I find him? Why doesn't he try to contact me?" Until that child finds the strength to move on and leave these questions in the past, he or she may drift about lacking direction, purpose, and self worth. I studied the Bible, prayed, and sought God for thirty years of my adult life. I believed John 1:12: "Yet to all who received him, to those who believed in his name, he gave the right to become children of God." For those thirty years I sought to know my heavenly father. After all, didn't 2 Chronicles 15:2 say, "If you seek him, he will be found by you." And in the New Testament isn't Jesus recorded as saying in Matthew 7:7, "Ask, and it will be given to you; seek, and you will find; knock, and it will be opened to you?" I was convinced that I would find my heavenly father. 1. I seemed to be guided away from the Bible and its teachings. They seemed harder and harder to believe. 2. Everything I put my hand to do was not blessed. We seemed to struggle in my business financially and never got ahead. 3. I could not confirm that I had received any Spiritual Gifts. 4. My children were becoming very disinterested in religion. 5. My office was burglarized and my home was burglarized. We lost a lot of important things and the inside of our home was really ransacked. Either the Bible was false or something was wrong with me. My wife and I decided that we were believing with all the faith we could muster. We decided the problem wasn't with us. And our studies were leading us to doubt the Bible more and more. I do not believe in Christianity anymore, but if I did, I would be the little boy in the picture above. Where was my heavenly father. He had promised to send the Holy Spirit if I only asked. He made a lot of promises in his letters, but he never kept them. I had to get on with my life, so I wrote Surrender of Sovereignty for my family to explain my reasons for leaving our traditional faith. A few have read it, many have not. I believed for the 30 to 100 fold return on my faith for years (Matthew 13:23), but seemed to notice nothing other than the imaginations of my mind. 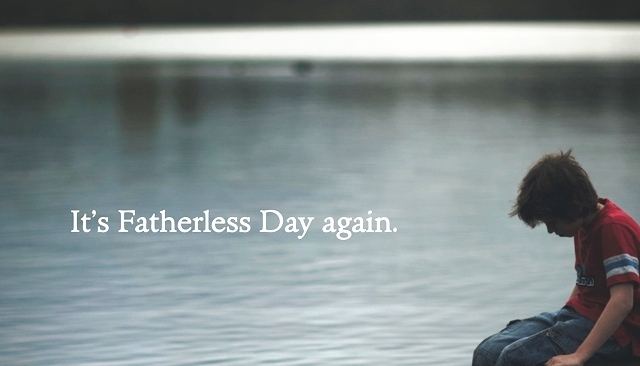 There really is a point where the fatherless have to let go and get on with their lives. Kirby Clendenon has been a practicing dentist for 40 years. He has been happily married for 44 years to Judy, and they have two sons, Jacob and Zachary.